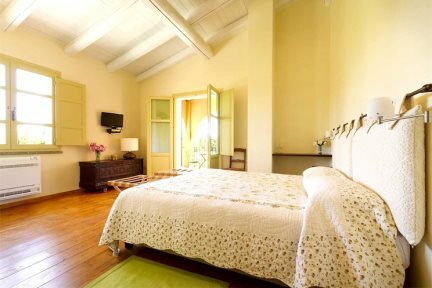 Surrounded by vineyards and olive groves, Wine Resort Leda d'Ittiri is a beautifully renovated farmhouse which exudes Sardinian character and charm. 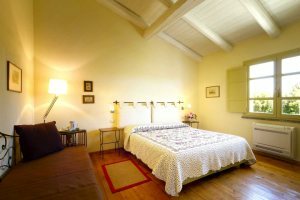 Wine Resort Leda d’Ittiri is a delightful renovated farmhouse with true Sardinian flair. Set in 18 hectares of grounds filled with vineyards and over 2000 olive trees, the hotel offers the perfect countryside retreat for guests wanting an authentic Sardinian experience. 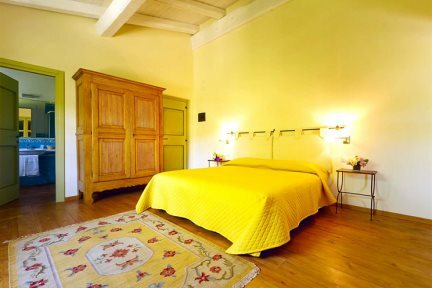 The farmhouse itself offers only 5 rooms, tastefully furnished with antique furniture and terracotta floors. There is also an outdoor swimming pool and ample sunloungers where guests can enjoy drinks from the bar or a platter of local cheese and antipasti. Guided tours of the vineyards and olive groves as well as wine tastings can be arranged (payable locally), or for those wanting to explore the surrounding countryside, there are a couple of bikes you can borrow on site. The bustling harbour town of Alghero is only a 10-minute drive away with its charming old town, bustling piazze, restaurants and bars. There are also a number of beautiful sandy beaches positioned along the Alghero bay, which are within easy reach by car. Swimming pool, pool bar, bicycles. 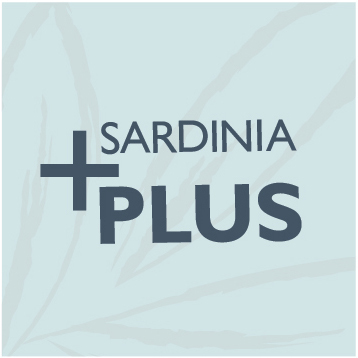 Vineyard and olive grove tours and wine tasting, cookery courses (payable locally). En-suite shower room, hairdryer, satellite television, Wi-Fi, safe, minibar, air-conditioning. Double bedroom with en-suite shower room. Facilities: Satellite television, Wi-Fi, safe, minibar and air-conditioning. Double bedroom with en-suite shower room and separate living room. Facilities: Satellite television, Wi-Fi, safe, minibar and air-conditioning. Double bedroom with en-suite shower room and veranda with a sofa and wrought iron tables and chairs. Larger than standard rooms. 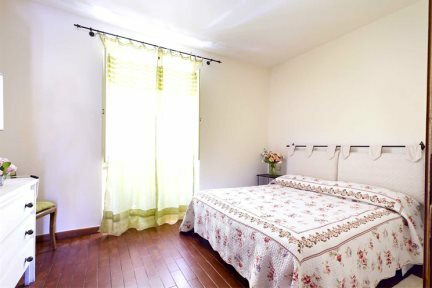 Facilities: Satellite television, Wi-Fi, safe, mini-bar and air-conditioning. Double bedroom with en-suite shower room, lounge and veranda with table and chairs. Larger than superior room. Facilities: Satellite television, Wi-Fi, safe, minibar and air-conditioning.